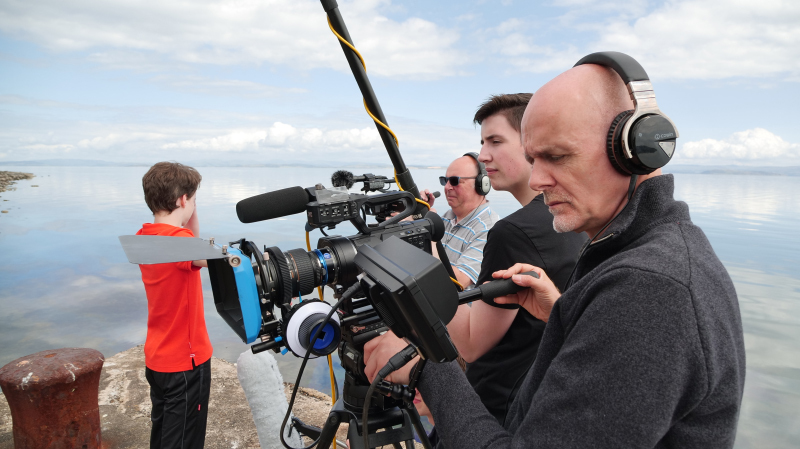 Chris Attkins (Director)..”We have just completed shooting our first ever full-length feature film, a ridiculously bold adventure considering that we are now retired and no longer employ a professional crew. However, our colleagues of thirty years generously shipped themselves over to the Isle of Arran for a fortnight to help make it happen. We opted to work in 4K UHD, utilising our upgraded Sony PX-70 a DJI OSMO and Mavic Pro. 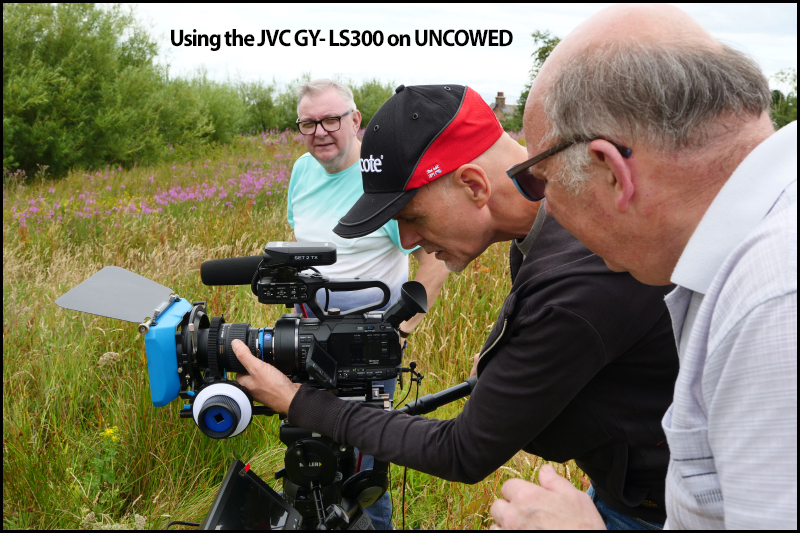 For the main camera, HD Warrior Philip Johnston very kindly offered us the use of his JVC GY-LS300, a large sensor native 4K camcorder with prime lens and follow-focus facility. This was a whole new experience for us, so we asked to borrow it well ahead of the shoot to familiarise ourselves with its capabilities and limitations. “To minimise continuity problems, we shot a lot of scenes using two or three cameras simultaneously. 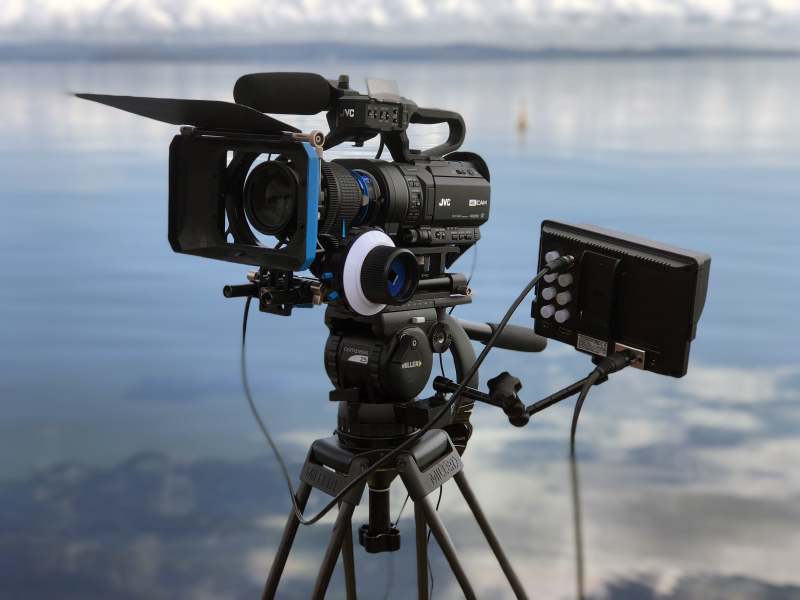 Matching the JVC to the Sony and Panasonic is straightforward in FCPX, but you would struggle to do this in reverse as there is much more latitude in the JVC’s output. There are limitations to the LS300. First up, there’s no image stabilisation when using a prime lens, another reason to use a tripod. The camera’s flip-out viewfinder provides a poor representation of its pictures, so an external monitor is highly desirable, although not always practical. However, nothing detracts from the magnificent picture quality. Whereas the Sony PX-70 is capable of turning in decent footage, everything has to be set spot on, especially exposure, which can be hard to judge in the field, even with zebra and histogram. The JVC is more forgiving, so less chance of blown highlights, and with follow-focus control, there’s also a better chance of shots staying sharp! I had noted this on my review of the LS-300 of my disappointment of the LCD in sunny conditions a larger viewfinder would be preferred.